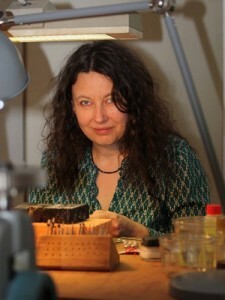 In spring 2014 she moved into Auguststraße 85 with her workshop. She is on site usually at Wednesday and Friday from 3:30 to 7 p.m. and by appointment. She appreciates to advise you personally on her own pieces of jewellery or on custom made productions.